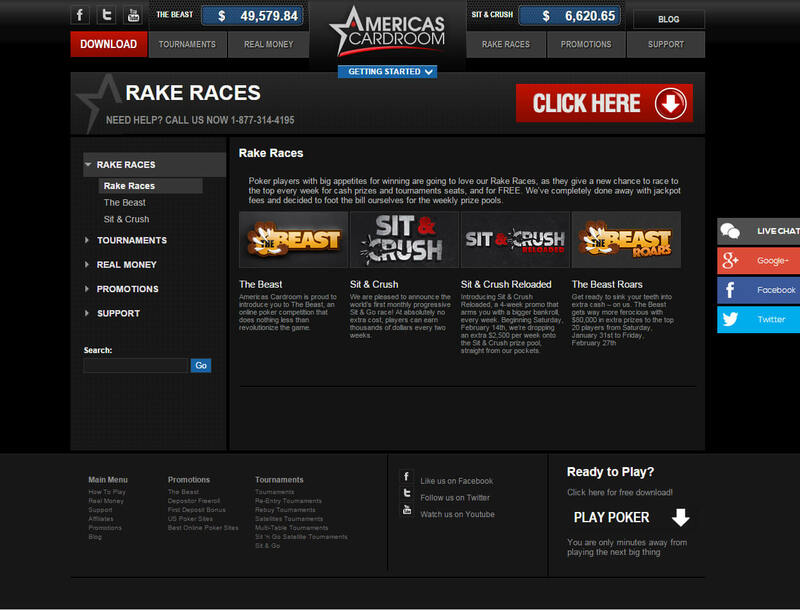 Americas Cardroom is one of the biggest names in the online poker industry. It is powered by Winning Poker Network and has been providing non-stop high-quality poker betting services even to US players since 2001. One of the leaders in the business, this poker room has finally opened its doors to accept Bitcoin, inviting all types of players, even those who prefer to fund the accounts using the digital currency. This website was launched years before Bitcoin was introduced, so it primarily functioned as a platform wholly operated by real-money. Having been operating for more than a decade already, it still has not adopted web browser-based betting as compared to most of the Bitcoin poker rooms on the market today. That is why players will notice that the only way to play poker is to download its software. 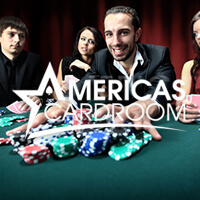 Americas Cardroom offers different kinds of poker games, including Texas Hold’em, Omaha, 7 Card Stud, and 32 Card Draw. 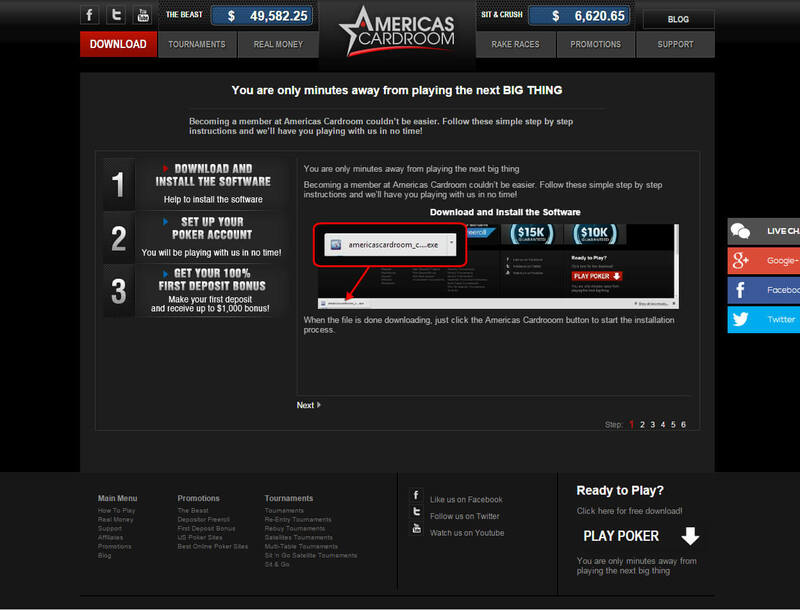 Various tournaments are also present here, giving bettors the freedom to select which table to join. After all, with several multi-table tournaments, re-buy, bounty, and Sit-n-gos, online poker fans can absolutely play based on their preferences. 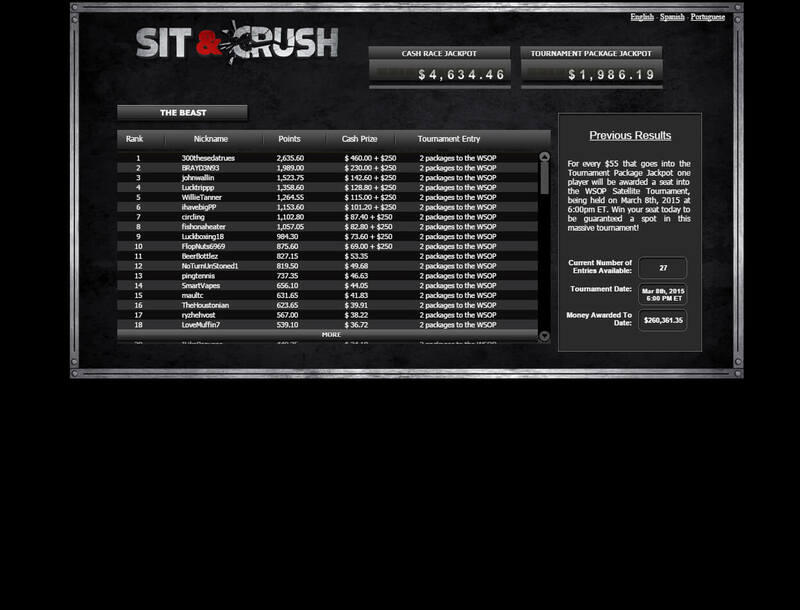 This poker site awards its new players with a 100% match first deposit bonus. Thus, if a bettor deposits $1,000, he should receive another $1,000 in his account. With this giveaway, everyone will have an amazing beginning in this online poker room. 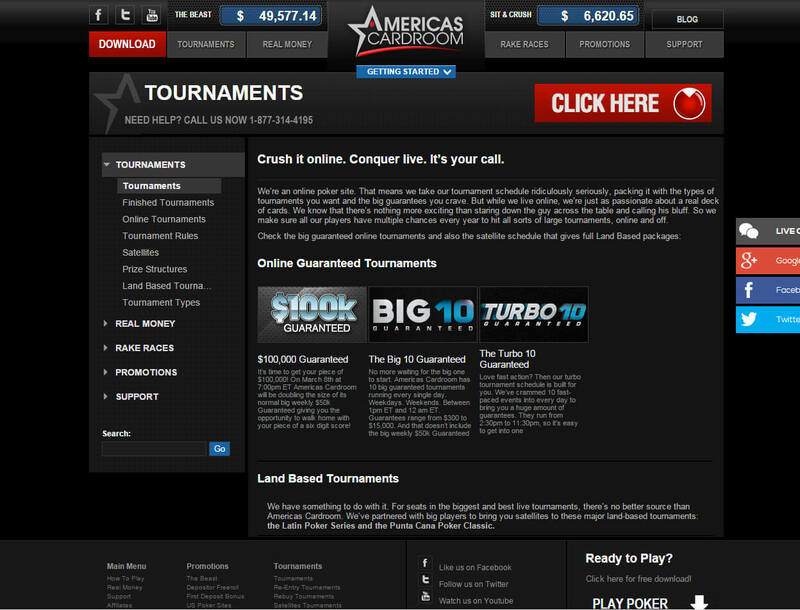 Other than its deposit bonus, Americas Cardroom also holds various events that allow players to win thousands of dollars or even more. A series of GTD tournaments are lined up every month, and some tourneys even take place on a daily basis. It also features events that have prizes of $100,000 and even $1 million! After Winning Poker Network embraced the digital currency, it was only apt for this site to accept Bitcoin too. However, it should be noted that only Bitcoin deposits are honored here as of writing this review. This means that players may only use bitcoins when funding their account. There is nothing to be troubled for, though, because Bitcoin withdrawals will soon be offered once the developers are done creating a user-friendly system that enables players to cash out bitcoins. For the meantime, BTC worth $5 for the minimum single deposit and $1,000 for the maximum amount may be transferred from the personal wallet to the poker site. Although bitcoins are recognized on this platform, the identities of real-money players are still verified to ensure the security of the website and of the other players. Likewise, all of the tables are closely monitored to prevent collusion between players. Should Bitcoin poker players wager their coins? Americas Cardroom has a solid reputation in the industry, and its years of operation and arsenal of services are reasons enough for anyone to experience playing poker online. With its Bitcoin integration, it further becomes an attractive gambling site that is absolutely worth the time and money, and in this context, bitcoins.